...They hunted and gathered along the valley and the cool, clear waters of the river, which was given the indigenous name “Kiewa” meaning "sweet water". Many clans would travel great distances during the summer months to gather up on the Bogong Ranges and hunt the Bogong Moth, hold ceremonies and settle disputes. Victoria's highest mountain, Mount Bogong (1984m) situated at the head of the Kiewa Valley, takes its name from the Dhudhuroa word for “big moth” and was an important part of the summer time gathering of the clans. The first known European visitors to the Kiewa Valley were explorers Hume and Hovell in November 1824. Following the drought of 1838-44, pastoralists sought out the rich pastures in the fertile Kiewa Valley. For the remainder of the 19th century the major industries of the Valley were cattle grazing, dairying, tobacco growing, timber harvesting and milling. The Bogong High Plains became a popular summer grazing destination for many local cattlemen and women. Cows would be taken up to the high plains for the summer and then mustered together at the end of summer to come back down to the valley. Many of these farming families still farm in the Kiewa Valley today, however the cattle do not graze in the high plains now. 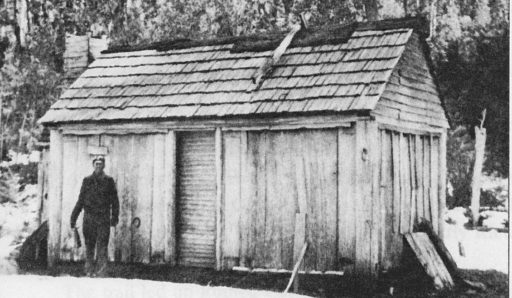 Families such as the Edmondson’s, Maddison’s, Roper’s (the first Roper's Hut pictured above) and Ryder’s would stay in their huts during the “muster.” Huts that bear their family names are still evident today. Tawonga Huts and Wallace’s Huts are two of the oldest and most well known huts. Wallace' s Hut is the oldest surviving hut now classified by the National Trust. It was built by the Wallace brothers with Jack Platt, Kyram Maurum, and Andy Damn. The next large increase in population was as a consequence of the Kiewa Hydro Scheme. In 1911 a private syndicate investigated the possibility of establishing a hydro-electric scheme.The Kiewa Valley became the site of the first major hydro-electric power development in the Victorian Alps and took 26 years from the original concept to open. 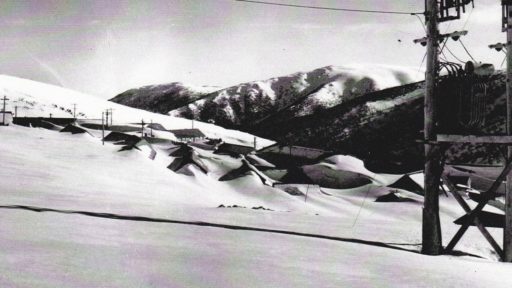 The townships of Mount Beauty and Bogong Village were constructed by the Victorian State Electricity Utility Commission (SEC) from the 1930’s to the 1950’s to house workers on the Kiewa Hydro Electric Scheme. At its peak the Kiewa Scheme employed around 4000 people. Although these towns were built as temporary accommodation for the workers and their families, many stayed after the scheme finished. Combined with the influx of European migrants, with their rich cultural backgrounds, all played a major part in shaping the future character of the Mount Beauty, the Kiewa Valley and Falls Creek. The Bright Council, now the Alpine Shire took over the control of the township in 1960 and today Mount Beauty is one of the most complete company towns in Victoria.